It’s no secret these are uncertain times for many in the government contracting space. With the upcoming U.S. presidential election, many companies are holding their breath, wondering how a change in administration will affect their budgets and staff. Weathering the uncertainty is no easy task. But many of the areas top CFOs and finance executives are up for the challenge. ExecutiveBiz went looking for the Washington, D.C. area’s top 10 finance executives — some CFOs, some not, but all showcasing the kind of leadership skills and eye for strategy to move their companies forward. What we found across the board was a compelling track record for overseeing their companies continued growth, now and well into the future. He’s only been with the CACI a little under two years but Tom Mutryn already has a lot to show for it. As executive vice president and chief financial officer and treasurer of the company, Mutryn is helping CACI stay on the fast track as an aggressive IT industry operation and consolidator in the M&A market. Under Mutryn’s watch, CACI completed four acquisitions in 2007, raising the company’s revenue total to $1.94 billion for the year. That level of financial leadership also landed Mutryn another key distinction, when he was recently named the Corporate Executive Dealmaker of the Year by the Association for Corporate Growth. “We are very proud of Tom and his exceptional accomplishments in sustaining CACI’s role as a trusted national asset to the U.S. federal government,” says CACI president and CEO Paul Confoni. “[Tom’s] essential contributions to our mergers and acquisitions have enabled us to expand the solutions we provide to help our federal clients solve their most challenging problems in defense, intelligence, homeland security, and government services.” Mutryn’s strengths with mergers and acquisitions was on prominent display with CACI’s recent purchase of Dragon Development Corp. “Tom’s leadership, savvy, credibility and professionalism under pressure was instrumental in keeping all the complicated pieces together to get the deal into the end zone,” says Bob Kipps, managing director of KippsDeSanto & Co.
Look around ManTech International Corporation and you’ll see that Kevin Phillips has played an integral role in the company’s growth and acquisitions over the past several years. 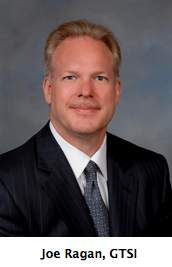 Phillips brings over 18 years of experience in government contracting to his work as executive vice president and chief financial officer of ManTech, and has led many crucial aspects of its financial and organizational growth. That expertise comes backed by seven years of executive management experience with CTX Corporation, which was later acquired by ManTech in December 2002. He has also held other key roles, including controller positions with IT providers to the government. These days, ManTech is abuzz with excitement born of vision — and a strong balance sheet. “We are excited about the prospects of our business as we are operationally well positioned for continued growth in revenues and profits, supported by our strong balance sheet and cash flows,” said Bob Coleman, president and COO of ManTech in an interview last year with Fair Disclosure Wire. And since ManTech went public, focusing on high-end intelligence and mission critical support, Phillips’ financial and strategic vision is helping keep the momentum going even stronger. What a difference two years can make. When Joe Ragan, senior vice president of finance and chief financial officer, started with GTSI in 2006, the company was experiencing a short-term period of what Ragan calls “distress.” “There was some difficulty implementing a new ERP system,” he says, adding, “we had to recover … by recapitalizing and refinancing the company.” The company went through a restatement in 2006, and restated 15 quarters of prior results. But by 2007, Ragan had already helped rebuild the company, establishing new lines of credit just as it transformed itself from a traditional government reseller of IT products into a total solutions provider. Today, GTSI has over $300 million in debt capacity — compared to nearly zero in 2006. Scott Friedlander, GTSI president and COO, credits Ragan, who has more than 20 years experience in global finance and accounting, with providing the company a “steady hand” at a time when creditors and banks were concerned about the company’s viability. “His demeanor and steady approach to solving our problems not only got us through the very challenging first 8-plus months, but has provided a financial path for us to do even better in our transformation,” says Friedlander. Tough yet fair-minded, he’s been called the kind of professional you’d want to see across the negotiating table. With over 25 years experience in the government contracts industry, Gary Shankman has been credited with focusing on the “real value drivers” in his role as senior vice president finance and group controller of Science Applications International Corporation’s Defense Solutions Group, headquartered in McLean, Virginia. “When you see Gary at the table, you know you’re in for a tough negotiation, but one where everyone is likely to come out ahead,” says Peter K. Wong, sector director of strategic development for Northrop Grumman Shipbuilding. That ability to benefit all parties was evident when Science Applications International Corporation and Northrop Grumman recently restructured their AMSEC LLC joint venture. “Gary was integral in helping the teams through this complex transaction,” says Wong. “His expertise and professionalism were instrumental in our being able to pull apart a $500 million business and then successfully reintegrate the pieces back into our respective companies,” adds Wong. Throughout his career, Jeff MacLauchlan has led several high-stakes initiatives for Lockheed Martin. The results speak for themselves. Among other achievements, MacLauchlan led the acquisition of 12 businesses, valued altogether at $2 billion. Serving as vice president of finance and later president of Lockheed Martin Global Telecommunications, MacLauchlan also oversaw the corporation’s exit activities, which generated over $2 billion in cash flow. 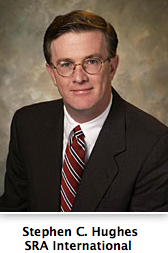 In March 2007, MacLauchlan was tapped as vice president of finance and business operations for Lockheed Martin’s Information Systems and Global Services (IS&GS). In this role, MacLauchlan is responsible for all of IS&GS’ financial strategies, and works with the leadership team and corporate CFO to grow the business, expand market share, and improve cost competitiveness, among other responsibilities. “Jeff Maclauchlan is an exceptional leader who focuses his financial and business management expertise to ensure the success of our customers, employees and shareholders.,” says Linda Gooden, Executive Vice President of Lockheed Martin Information Systems & Global Services. He’s been called a “can-do” CFO, and “true professional.” Backed by 29 years experience, Steve Hughes serves as chief financial officer and executive vice president of operations for SRA International, a Fairfax- based company which focuses on providing technology and services to support homeland security, defense, and global health. Since joining the SRA team in 1981 Hughes has held a diverse range of positions including systems analyst, accounting manager, controller, vice president, and senior vice president of finance. But his most high profile role came in 1996, when he was tapped as CFO. Hughes has since been credited with overseeing SRA’s astronomical growth. “Steve has made a huge impact on SRA’s ability to execute its growth strategy, co-leading the acquisition and integration of eight companies to date,” says SRA President and CEO Stan Sloane. That professionalism is recognized beyond the halls of SRA. “I have known Steve since SRA was a $100 million company,” adds Rick Knop, Co-CEO, Windsor Group LLC, whose firm has closed several transactions with SRA, including Galaxy Scientific and ERA. “He has been a key, if not the lead, SRA executive in every major capital acquisition transaction of SRA for the past 10 years,” adds Knop. Meet Mike Garrity, General Dynamics’ “secret weapon.” As vice president of finance and administration for General Dynamics Information Technology, Garrity oversees all facets of the Fairfax-based company’s financial, facilities and information technology sectors. “Mike Garrity balances a unique entrepreneurial instinct with a seasoned pragmatic approach to financial operations that make him an extraordinary CFO,” says Ray Whitehead, vice president of business development at General Dynamics. 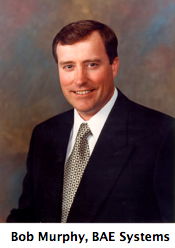 In his current role, Garrity oversees the company’s ISO-9001 Registered Quality Management System. Beforehand, he was the program manager for GTE Government Systems Corporation, and the contract compliance council chairman for the organization, Cost Accounting Standards. Over the last eight years, BAE Systems, a $14 billion global aerospace and defense company, has grown by leaps and bound — ten times, to be exact. And BAE credits Bob Murphy, senior vice president of finance and chief financial officer for the company’s U.S.-based operating groups, for much of that growth. “Bob’s contribution as a CFO and sector president has been a significant factor in BAE Systems’ growth,” says Walter Havenstein, president and CEO of BAE. An active participant in all merger and acquisitions at the company, Murphy led the acquisition of the former Armor Holdings last year — at more than $4 billion, it became the largest acquisition by BAE Systems to date. 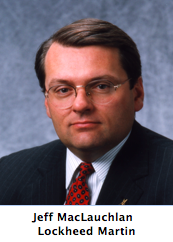 Murphy first came to BAE in 1999 as vice president of finance and chief financial officer. Prior to his current position, Murphy served as president of BAE Systems Technology Solutions Sector, a provider of technical and professional services solutions for the U.S. Department of Defense, federal civilian government, and Homeland Security sectors. Marilyn Crouther has come a long way since her days as an accountant for an oil and gas company in Houston. In 1989, she began working for EDS, a global business and technology services company, in Plano, Texas. The rest, as they say, is history. Beginning as an analyst with the Corporate Shared Financial Services group, she spent the next eight years in various EDS industries, in positions such as financial analyst and manager. 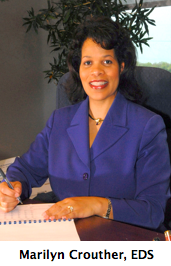 In 1997, she rose to the level of strategic business unit controller for the EDS Health Care Industry organization, then moved to the Government Group in Herndon as industry controller for Medical Information Solutions. Then, in 1999, she became CFO for EDS’ U.S. government business. “Marilyn plays a critical role in my organization,” says Dennis Stolkey, vice president and general manager, EDS U.S. Government and Public Sector. “She is an outstanding person, a trusted advisor and a highly valued business partner who contributes significantly to the strategic direction, growth and success of our U.S. Government organization.” Somehow Crouther also finds time to volunteer for worthy causes, such as the Hoop Dreams Scholarship Fund. From strategy to service, dedication to varied experience, every one of these executives exemplifies the strengths needed to keep the area’s businesses strong. ExecutiveBiz salutes their hard work, and is proud to have them on a list of top government contracting finance professionals in the D.C. area.